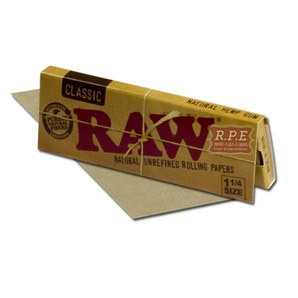 Raw Classic 1 1/4 rolling papers are a natural unbleached rolling paper that uses no additives and uses a natural sugar based gum.. The difference between these and the “Organic” is that the Organic are a hemp based paper, while these are rice based. Rawthentic is the way to go! #Rawlife!